The taste of wines grown from Pennsylvania grapes may surprise you. The Brandywine Valley in southeastern Chester County is just about two hours by car from New York City and Washington DC and less from Baltimore which makes it a great destination for a close-to-home getaway weekend or short vacation for wine enthusiasts. While most visitors come to the Brandywine Valley to experience the former DuPont estates, now museums and gardens open to the public, many are surprised by the number of world-class restaurants that call the area home and the award-winning wines that are created here from locally grown grapes. It's the soil and micro-climate here in southern Chester County, PA that make the area particularly well suited to growing many varieties of grapes. Chaddsford Winery in Chadds Ford, PA, is the largest and best known of the southern Chester County wineries. Located less than a mile from the Brandywine River Museum it is a destination for tastings, concerts and events such as it's annual Labor Day Weekend Jazz Festival an end of summer ritual offering up cool wines and hot jazz. Perhaps best known for their Chardonnay, their wines include Merican, Merlot, Cabernet Sauvignon, Pinot Noir. In 2008 Chaddsford Winery was named to Wine Enthusiast's list of "America's Top 25 Tasting Rooms". "A single hill just outside of Philadelphia yields some of the most delicious, singular field blends in America.
" One of the more original winemakers in America... There is no reference point for these wines - but they are remarkable, and, yes, quite delicious." Welcome, and thank you greatly for your interest. 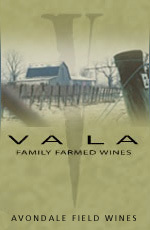 Our family produces wines from field blends of northern italian varieties on a small hill near Avondale. We welcome you to our little boutique tasting room set inside a 19th century barn, offering a selection of dry table wines that are unique in flavors, and unique to this small farm. By the glass (from $8), by the bottle, and in the Field Wine Tasting Flight, a reserve-style tasting featuring four current releases, paired with bites of local food specialties and seasonal tidbits from the farm ~ $20. We hope very much that you enjoy them. *Please be aware that due to our modest size and staff we are regrettably unable to accommodate groups over 6 persons. Penns Woods Winery is a family-run Pennsylvania Winery. With over 40 years of experience in the wine business, winemaker, Gino Razzi, and his daughter, Carley Razzi Mack, produce award winning wines from 100% Pennsylvania-grown grapes. Their tasting room at 124 Beaver Valley Road, Chadds Ford, PA provides an all-around vineyard experience. Tasting Room Hours: Open Thursday through Monday. Hours change seasonally . Galer Estate Vineyard & Winery is a boutique winery located just behind beautiful Longwood Gardens at 700 Folly Hill Road, Kennett Square, PA. Their award winning wines include Pinot Gris, Chardonnay, a French style Rose and a Vidal Blanc Ice Wine. They also make Cabernet Franc, Reisling and Albarino as well as a Cabernet Franc Ice Wine. Their motto is "Blending Nature, Science and Art", which is evident in every aspect of design and production at Galer Estate. Open Mon.-Fri. 4-7PM, Sat. & Sun. 1-7PM or by appointment. The wineries of the Brandywine Wine Trail open their cellars and tasting rooms for barrel tastings, tours, music, art shows, food and more. Check their website for their seasonal events. 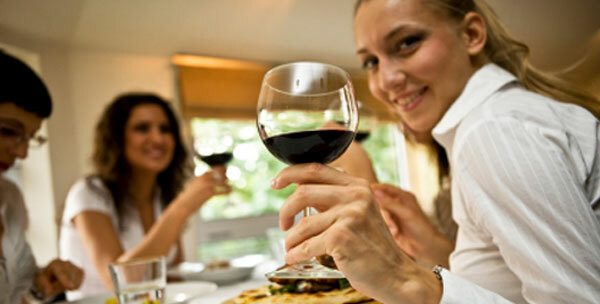 For a listing of all Brandywine Valley wineries click here.